Choose your style and fill of natural wool - kapok - organic cotton - 100% natural latex. 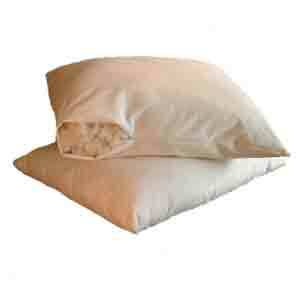 A good night's sleep can depend on the type of pillow you use - the height and the material. Let us guide you in choosing the right pillow for you so you can sleep like a baby! 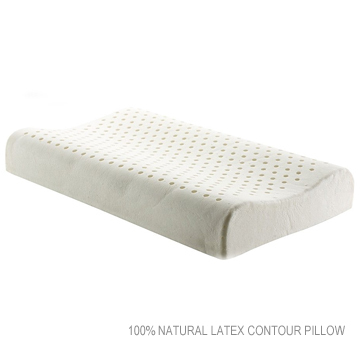 Good Night Naturals is very proud to offer completely natural pillows filled with Wool, Kapok, Organic Cotton or 100% Natural Latex and covered in 100% Organic or Natural Cotton. 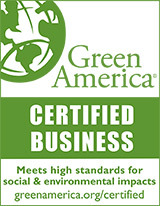 We believe bedding should be natural in its entirety and completely chemical-free. Our wool is not carbonized. Did you know that many people who believe they have an allergy to wool are actually reacting to the wool's harsh cleaning process called carbonization? 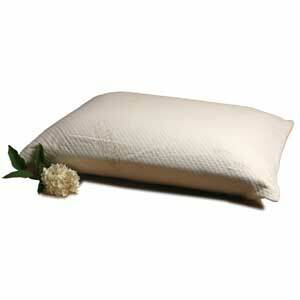 Pillows made with pure and natural ingredients will make a remarkable difference in your sleep environment. Perhaps the least expensive and effective change in your sleep environment is replacing or adding pillows from Good Night Naturals. The improvement in the quality of your sleep will amaze you and make you a believer. One night nestled in bed with your own all natural material pillow, will convince you of how relaxing and rejuvenating a great nights sleep can be! 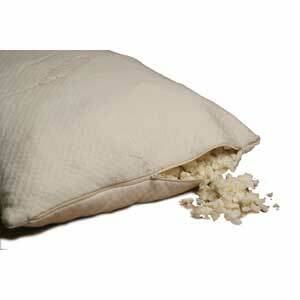 Natural fiber pillows are especially helpful in alleviating allergy symptoms associated with down or synthetic pillows.